Clarendon Gavoty vineyard is meaning and pleasant. Domaine Gavoty Clarendon red has a complexe red fruits and spiecies nose very wide in the mouth. Tannins are fine and balanced with a pretty structure. Domaine Gavoty Cuvée Clarendon Côtes de Provence Red wine is to drink with grilled red meat. It can also suits with venision with a sauce for example. Domain Gavoty is a domain which testifies of Roman vestiges. Philémon Gavoty purchased the property in 1806. Since then, 8 generations followed one another. The Gavoty family attempted to defend this soil in the area of naming Côtes de Provence while valuing their image. From 1985, Roselyne Gavoty takes care of the wine making. In 2001, she manages all of the exploitation of 50 ha by means of her husband. 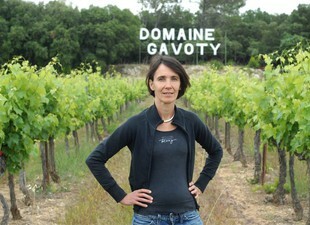 Since 1985 Roselyne Gavoty has managed vinification and has given to the domaine a new commercial orientation. In 2001, she started to run the all exploitartion with the help of her husband Hervé.